Our mission at Bellingham Bay Pre-School is to provide children with a nurturing environment where they feel comfortable and confident to become great learners. 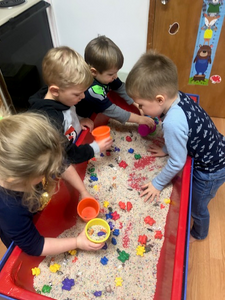 We provide a variety of experiences that stimulate learning in all developmental areas: physical, social & emotional, cognitive & general knowledge, as well as language, literacy & communication. As educators, our aim is to help your child experience pride and self confidence, develop independence and self control, and have a positive attitude towards life and school! Please note our current pre-school and pre-kinder classes are full for the remainder of the 2018-2019 school year. Class information for the 2019-2020 school year will be coming out shortly. Registration for Fall of 2019 will begin Monday, February 4th for all current members. A 45 minute gymnastics class focused on building body coordination, team work, and gymnastics skills in a fun and positive environment! 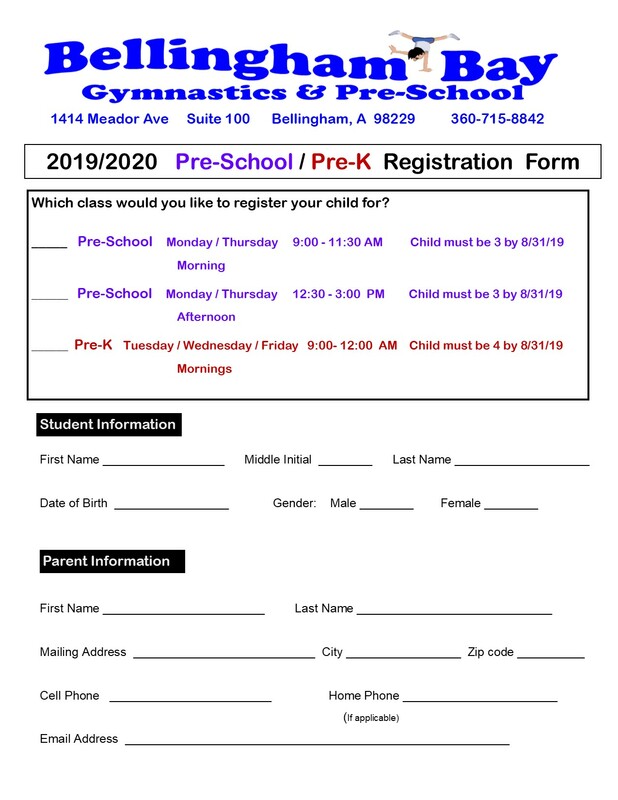 Our gym time curriculum includes introductory floor and tumbling lessons, as well as, obstacle courses involving the traditional gymnastic apparatuses (beam, bars, vault, and floor). You can also expect games and activities such as parachute, hula hoops, and more! 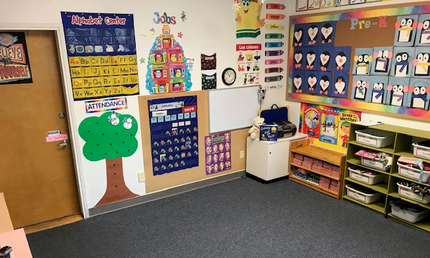 Circle Time in the carpet room: This includes greetings for the day, and lessons in weather, calendar, group interaction, reading, music, and more. Teacher lead group "centers": Small groups working at teacher lead stations focused on writing, literacy, math and counting, arts, and science. This will be my 12th year heading the Pre-school and Pre-K program at Bellingham Bay, and I am thrilled to be here! I think it is important that children have an environment where they can be comfortable and confident in themselves so they are open to learning. I am an advocate for positive re-enforcement, structure, and discipline. My ultimate goal is that your child is healthy, happy, and learning while at Bellingham Bay!